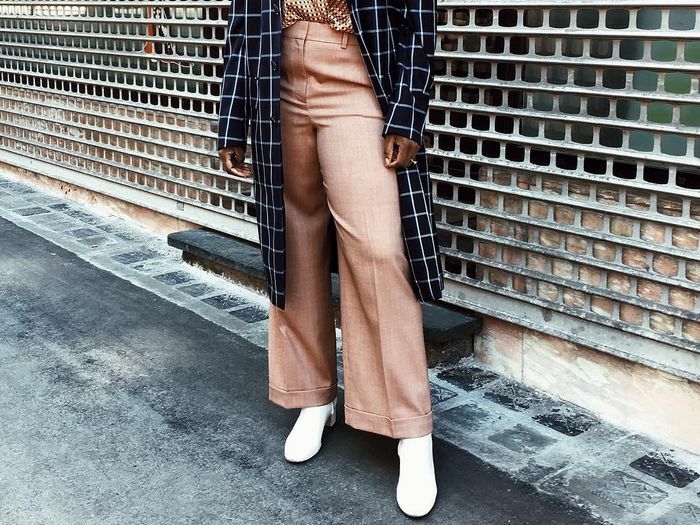 Ever since the white shoe trend popped up on our radar several seasons ago, we've been unable to get enough—and we're not alone. 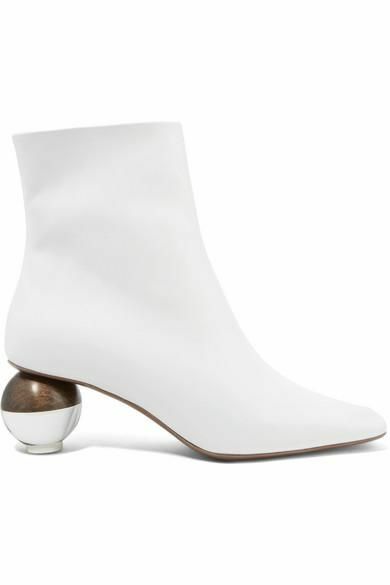 The fashion crowd loves them, and designers continue to unveil new, updated styles, from boots to mules to sandals, rendered in the classic white color palette. Versatile, timeless, and sophisticated, it's safe to say the, well, "colorless" shoe has officially secured its spot as a wardrobe go-to. Now, if you don't yet own a pair of white shoes for fall but have been wanting to dip your toes (or better yet, feet) into one of autumn's dominating trends, you're in luck. We sifted through hundreds of search results from some of our favorite online retailers to find the best white shoes to own now—and while it was incredibly difficult, we found 30 pairs we're certain you'll fall head over heels for. To make it even easier for you, we've categorized our edit by shoe type, covering all of the bases. So if you're more of a jeans-and-sneakers girl, we've found cool, colorless kicks you'll rock time and time again. And if you're in need of new work shoes, we rounded up classic white heels to wear with your power suit. Have your credit card ready? Read on to shop the 30 best white shoes for fall. Sleek white booties amplified by a sculptural heel. Available in sizes IT37 to IT40.5. Yes, you need a pair of Western-inspired booties for fall. Up the cool factor of any look with these patent-leather and stud-embellished boots. Every fashion girl owns a pair of platform combat boots. Kitten-heel booties pair nicely with everything in your fall wardrobe. Available in sizes IT34 to IT42. Because Converse are a classic, regardless of the season. Two words: chunky soles. Yes, they're back, and they're bigger than ever for fall. Available in sizes IT35 to IT40. Would you wear these daring wedge sneakers? Structured minimalist sneakers are a must-have in everyone's shoe closet. Canvas sneakers are so easy to wear, and they transition seamlessly from summer to fall. Pro tip: Don't wear them when it's pouring rain. We're loving the pink detailing on these classic white sneakers. Style these with funky socks come fall. You can't go wrong with classic white pumps. Add some height with these platform pumps. Wear these woven heels early in the fall. This fall, it's all about cool, eye-catching heels. Low-heel pumps perfect for the office. Available in sizes IT39 and IT40. How about that ankle strap, though? Rock the strappy sandal trend in the fall as well. How cool is the semi-transparent heel on these shoes? Another pair of sandals that can be dressed up with colorful socks. There's so much we love about these sandals—the strappy silhouette, the heels, and the open-toe design. Black-and-white sandals to wear nonstop this season. Available in sizes IT34 to IT41. We picture these paired with a pretty slip dress–and-sweater combo this fall. Modern and minimalistic—two of our favorite styles in one. Pair these with your favorite office power suit. Easy mules to wear everywhere this fall. Cute, comfortable mules worth investing in. Team these with your favorite pair of cropped black jeans this fall. Next up, shop some more of our favorite boots to invest in for fall.